Increase the ROI of your multi-source campaigns. Use our automated bid manager and stay focused on your traffice acquisition strategy. 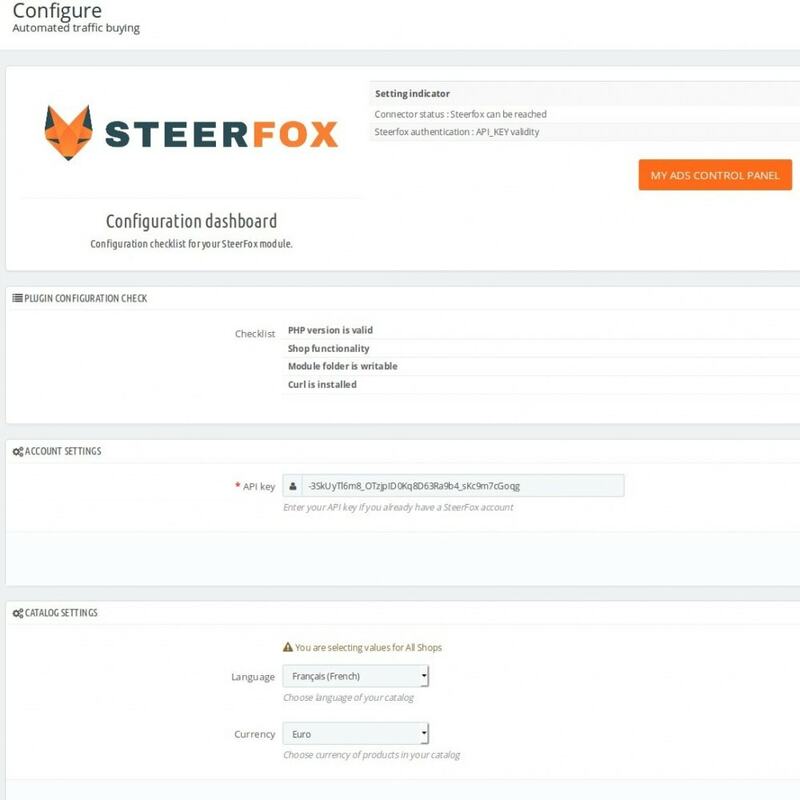 The only module protecting your product feed from the eyes of your competitors : Steerfox is the only web solution securising the transfer of your product feed between your website and Google. Choose your budget depending on the desired traffic to your or your shops. No commitment is required. Our robots boost sales of your e-commerce site. optimize their presence on all channels, article by article. Generate campaigns automatically from your product catalog. Our robots analyze it -as well as your competition- to create the best advertising campaigns in suitable formats: text ads or banners. 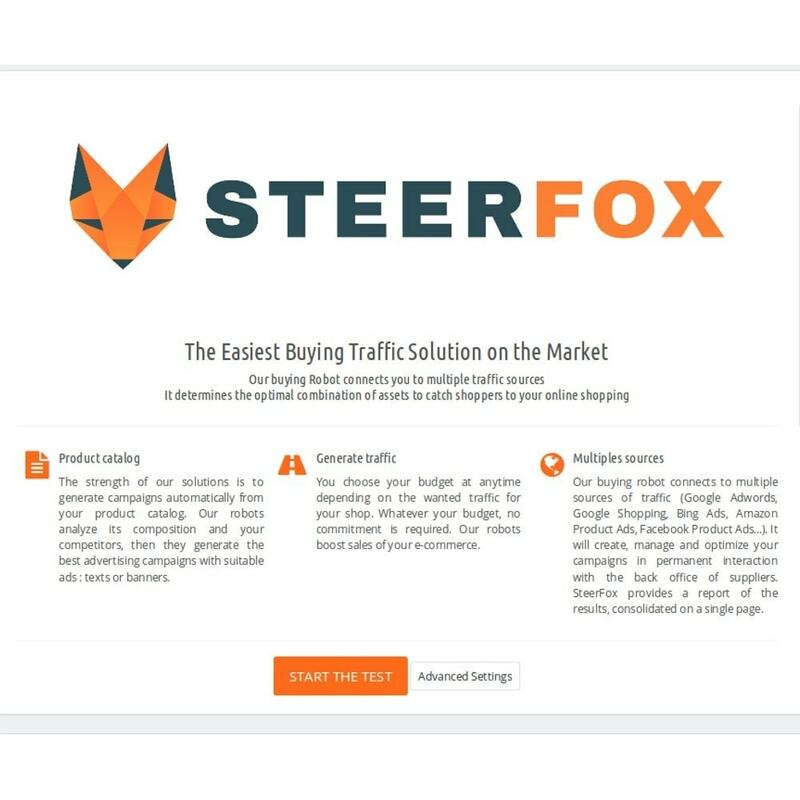 Steerfox outperform digital agencies through its robots that generate significant savings in terms of time and campaign management cost. Our buying traffic tool connects to multiple audiences (Google Adwords, Google Shopping, Bing Ads, Amazon, Facebook Product Ads, Criteo ...). It creates, manages and optimizes your campaigns in relation with the back office suppliers. 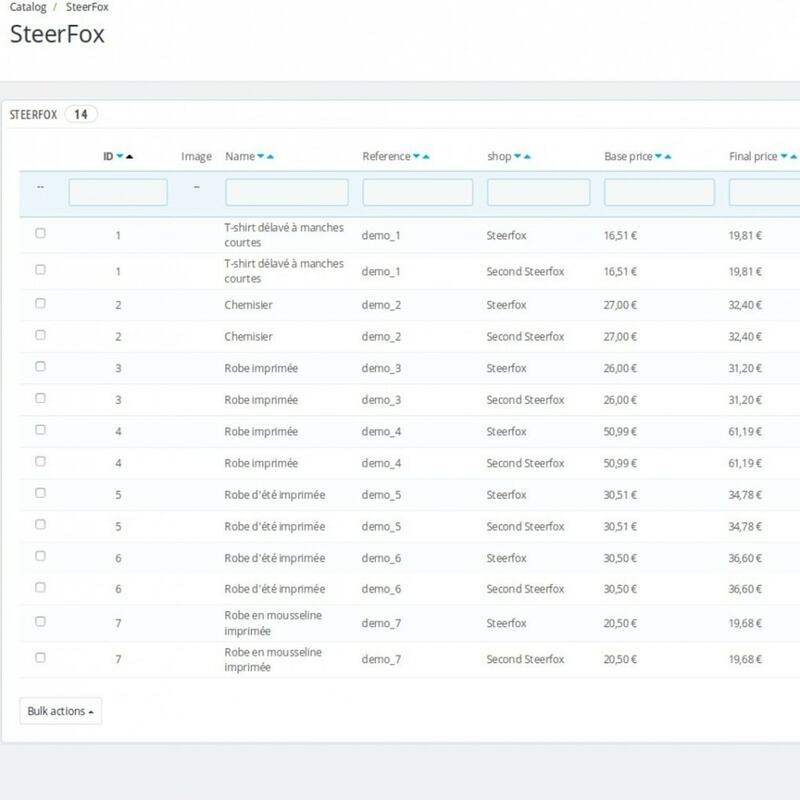 SteerFox provides a report of the consolidated results on a single page. Module for Zendesk (Zopim) with many more features than the free one. Customize and translate the Zendesk Live Chat Widget to talk to your customers in real-time, the fastest way to engage your customers and increase your sales.